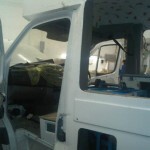 Tips when buying an ice cream van, working parts with wear and tear. 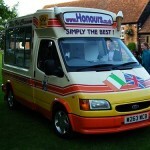 Honours Ice Cream Blog has now a link from our home page buying an ice cream van plus working parts . Listed in the blog are ice cream van components, moving parts, refrigerants, motors and all type of parts that wear over time. Parts on an ice cream vans can be very costly to repair or replace and often can cause multiple days off work. Just like when you are going to look over a car before buying one, it is always a good idea to know what to look out for prior to finding and buying an ice cream van. Tips When Buying an Ice Cream Van and the wear of working parts, things to look out for are listed on our ice cream van blog. You can not always tell if every thing is working unless you use the refrigerated equipment yourself but again you will not likely notice if there is a refrigerant or gas leak as the leak may be very slow and can take weeks to notice. 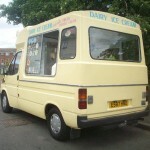 Checking parts when buying an ice cream van can save you a lot of time and money in the long term. Working parts can show sign of wear before a break down or complication occurs. Once a van is converted into an ice cream van then the standard parts i.e. engine, gearbox, prop shaft, tyres, light, clutch etc. are also prone to break downs but there are dozens of other parts that you have to keep an eye out for in order to keep your business on the road and working. Realistically the probability an ice cream van having a break down is I would say three or four times more likely than a standard van. 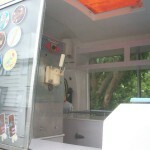 The working or moving parts to make soft ice cream, keep the freezer and chiller refrigerated, turn the direct drive from the engine to drive the pulleys within the soft ice cream machine, fans for ventilation of the soft machine.Other ice Cream Van Parts include bearings, shafts, condensing units, compressors and the list goes on. The down side of ice cream van refrigeration is that we are mostly moving from one destination to another, this allows for vibrations and movement. Mostly if you have a decent well made ice cream van that has all equipment well secured, maintained and an all round good conversion then you are a lot less likely in incur a problem. 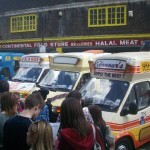 Here is a little content on the introduction of the first soft ice cream vans in the UK. History of ice cream vans in the UK. It is always a good idea to have someone with a little knowledge in ice cream vans to come with you when buying an ice cream van! 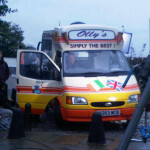 This entry was posted in News and tagged buying ice cream van on November 9, 2010 by Onur.